Who needs turkey when you’ve got a Philly pretzel ? 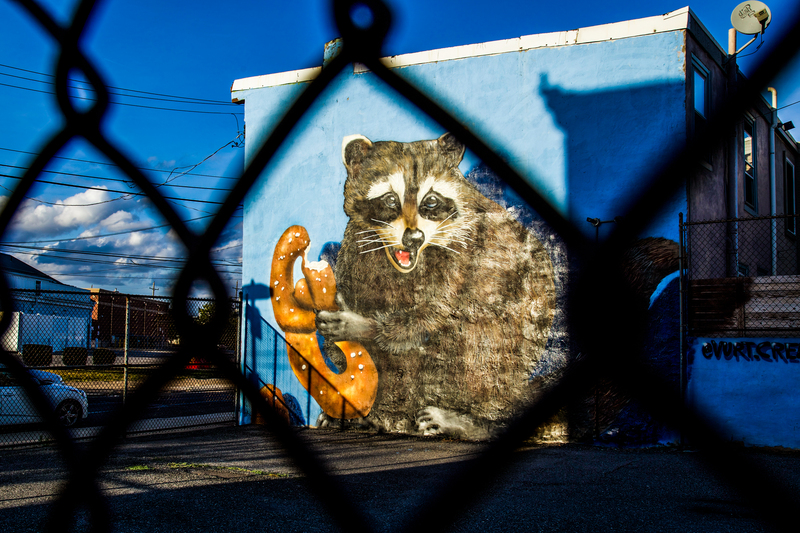 This wonderful street art mural appeared recently in Philadelphia’s up-and-coming Port Richmond district. 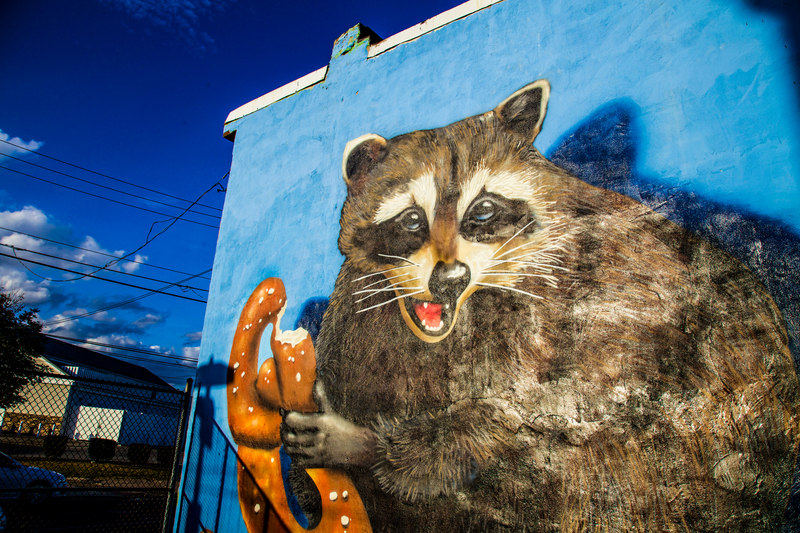 The newest work from the Local Critters Project mural series was created thanks to a crowd funding project launched by neighborhood resident Natalie Shaak. Along with the “happy raccoon”, the project also raised money to rehabilitate the adjacent kid’s playground. You can learn more and contribute to the ongoing project at their Go Fund me page. This entry was posted in Art, USA and tagged mural arts, Philadelphia, Port Richmond, Street Art. Bookmark the permalink.